Summary: The art of feng shui can create a type of inner peace that you’ve never experienced within a household before. In regards to architecture, feng shui can play a significant role in your interior space. The concept of feng shui revolves around keeping harmony and peace. If you’re looking to incorporate the soothing nature of this ancient Chinese philosophy into your home, then this guide will walk you through everything you need to know. Now, feng shui design can be incorporated in nearly every building – from a small office room to the interior space of a living room. The architecture behind the art of feng shui revolves around the regular flow of positive energy or qi. Many designers often utilize a compass to decide the favorable positioning of certain rooms in a building. In China, homes tend to use feng shui for a variety of purposes. Some utilize it for medical purposes while other use it to find a peaceful atmosphere. In China, there is a belief that the incorporation of feng shui within a home will provide a profound effect on the homeowner’s life. Rather than focusing on the furniture arrangement or purchasing a custom cushion, feng shui’s core belief revolves around spiritual connection. Start by clearing out any clutter that you have in your home in order to make space. Before you even begin rearranging all the furniture in your home, or worry about the layout, you’ll want to define the energy map inside your home using a compass. By familiarizing yourself with the five elements of theory surrounding feng shui, you’ll be able to integrate it within your interior design and successfully invite harmony and peace. The layout of your home is said to be filled with a significant amount of life energy, similar to that in nature. The Chinese believe that certain objects and furniture in your home can have a negative impact on your spirit, especially if they’re arranged in a wrong way where the positive energy becomes impeded. Improve the spiritual quality of your home by laying out your furniture in a carefully thought-out way to bring a specific balance back to your home. 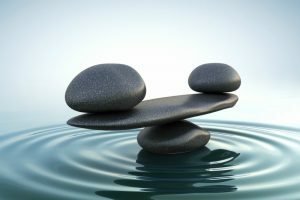 Now, achieving this balance is the ultimate goal of feng shui, and is thought to drastically improve the mood of the person living inside. There are plenty of ways to incorporate this philosophy into your home, but you must familiarize yourself with the basic nature of feng shui. Only then will you be able to create an atmosphere filled with positivity and peace. The Foam Factory, an experienced foam manufacturer, can help you find all the pieces you need to correlate to the exact look you’ve always wanted. Furniture requires foam that is durable, strong, resilient and absorbs energy. Low-pressure flexible polyurethane foam is the perfect material that has all those properties. Inside furniture cushions, you get the comfort and the support that you need. When used in carpeting, FPF extends the lifespan and the comfort levels of the carpet. A carpet absorbs a lot of energy as people walk. The foam handles the absorption of that energy, protecting the surface layer of the carpet. The typical foam in carpeting absorbs about 50% of the noise of footsteps. FPF is a huge part of bedding. The foam is easy to cut into a block for each mattress. This type of foam is popular because it is easy to mold, fabricate, and style to the needs of each application. Often, you will find FPF in pillow top mattresses. Flexible foam is perfect for packaging sensitive goods like jewelry, electronic circuitry, and foods. The foam is resilient, absorbs shock, resists water, and moisture. Also, it is lightweight and does not add to the overall mass of the package. Sometimes decorating your home can be costly and time-consuming. However, everyone loves to change their surroundings to achieve a fresh new look and feel in their home. Here are three ways to decorate your home using items you already own. Rearrange – Rearranging your space is a great way to make your space look different. 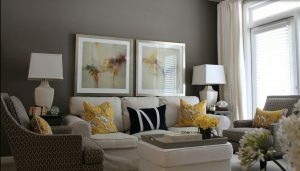 Start off by splitting your sectional and placing some parts opposite a wall or change the location of your side tables. If you have a lot of artwork on your walls, look at moving paintings and pictures from one area of your home to another. Apply a coat of paint – You can update your furniture by simply applying a new coat of paint in a color that is different to your current look or theme. Another simple change is to cover most of your items in white paint. Look at painting your tea carts, end tables, and plant stands in white. Make your bookshelves stand out by painting the back of your bookshelves a brighter color. Look at shades like yellow, gray, navy or white. How to arrange a family photo wall? Pictures are a nice way to personalize your home, however arranging pictures can sometimes be a daunting task. Here are some tips on how to create a family photo wall. The spot – Placing framed pictures all over your home, makes your space look unstructured. Instead look at places where your family pictures will be enjoyed and looked at often. A good place to start is in the dining room, family areas or along a staircase. Create the arrangement – A balanced arrangement will be easy on the eyes and create visual interest. It is best to include a variety of sizes ranging from 4-by-6-inch, 5-by-7-inch, and 8-by-10 photo frames. It is also important to vary the heights and the shapes of the frames. Use the floor first – Start by laying your frames on the floor and then cutting them out of newspaper. You can then tape your paper on the wall to ensure you get the right placement. Frame selection – Simple combinations of frames are timeless. Look for frames in metal, black or plain wood. For those who like a bit of color, look at frames in non-dominant shades like white, navy, gray or dull gold. 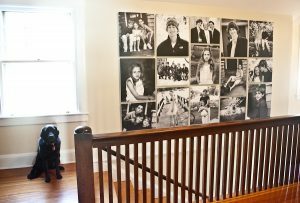 Stairway photo wall – When creating a stairway photo wall, your lowest frame should start at eye level and then move upwards but stop at a reasonable height. Space the frames equally and remember to group them together at the center of the staircase and then branch out. The concept of sound proofing seems simple enough. Once you get into the details, it does start to get a little complicated. There are different products at various price points for each component of the room. It is not as simple as just putting some sound deadening foam. The entire process needs to be carefully thought out and executed to ensure that no sound gets in or out. First, there is a common misconception that soundproofing and sound absorption are the same things. Sound absorption uses materials like acoustic foam panels to absorb ambient noise and reduce acoustic reflection, while soundproofing is how to prevent sound from coming in. A solid object will block airborne sound from coming through the walls. The more solid the material, the more sound it will block. For example, a concrete wall will block more sound than drywall. In cases where there is existing drywall, and you don’t want to replace them with concrete, use sounds deadening foam on the walls to increase the amount of sound blocked. 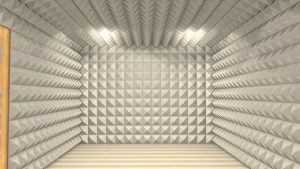 The next part of sound proofing is called damping. It is akin to tapping a wine glass and then stopping the noise with your hand. Achieving this in the real world involves using a damping viscoelastic adhesive set between two surfaces. Lastly, there is the decoupling. The sound is transmitted through the building structure. The only way to stop that from happening is to create air gaps between the surfaces. This is best done during construction, as doing so afterward involves breaking walls. It is essentially creating a room within a room. 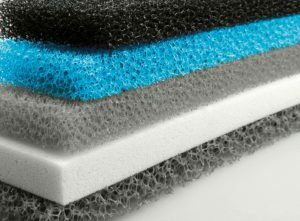 The Foam Factory is a specialist company when it comes to providing foam replacement solution. 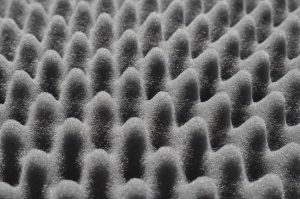 They also offer acoustic foam for different indoor soundproofing projects. 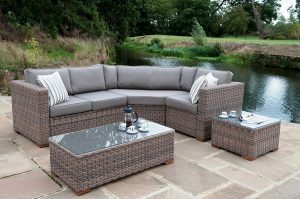 Wicker furniture is popular for both indoor and outdoor use. Wicker chairs and other furniture made from natural materials are better indoors. This is because prolonged outdoor use can cause problems like getting brittle (in the sun) or warping (from the rain). All-weather wicker is synthetic and is far more durable for outdoor use. All-weather wicker differs by the manufacturer but essentially refers to construction from human-made materials rather than any natural products. 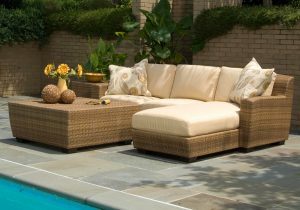 Polyethylene based wicker is the highest quality all-weather wicker available and is sometimes referred to as PE rattan. Other options, which are of lower quality, are polyurethane or polyvinyl chloride. Neither of these two materials is recyclable, unlike the polyethylene based products. You could even use all-weather wicker indoors. Your next wicker sofa could be synthetic, especially if it exposed to the sun through windows. Even with prolonged sun exposure, synthetic wicker will not get brittle or break easily. This is one of the many possible use cases for synthetic all-weather wicker in the house. Get in the shade with Treasure Garden Umbrellas from Wicker Paradise. Your house is something you will live in for years, and therefore it is not a quick or easy decision. Here are six things you should consider before buying a house. Recognize a roof in need of repair – A roof repair can be costly, therefore get the advice from a reputed contractor and ask him/ her to assess the quality of the roof. Don’t judge a room by its paint job – Avoid being distracted with the décor or the painted walls and focus on the structural aspects of the house. You should look for cracks, mold, aging appliances, and loose wires. Take its temperature – Note that your home will need heating and cooling, therefore look at the houses heating and cooling system. You should invest in a home that efficient and one that will not incur high utility bills. Decide on your deal breakers – Have a list that states the purpose of your home, your lifestyle and its requirements. It is important to have an idea of how many bedrooms, baths, the size of your kitchen, laundry room and other requirements that you consider important. Plumbing – Take a good quality plumber with you to inspect the house’s leaks, water damage, and mold. Check out the land beforehand – Ask nearby homes if they are prone to flooding or wildfires. Foam padding is used extensively for mattresses and mattress toppers. The most popular of the foams used in mattresses are memory foam. Several types of foam can make multiple layers on the same mattress to provide different levels of comfort. This is the next most popular use of foam. Most foam types applicable for cushions have enough density for a DIY enthusiast to use at home. They are easy to cut and shape for any household use. Closed cell foam is perfect for outdoor furniture due to its water resistant properties. Unlike other foam, a gas is sealed within the foam, which prevents any liquid from penetrating the surface. Fitness and exercise related products use a range of different foam products. The most popular two are foam rollers and yoga mats. Foam rollers are high-density foam sheets molded to a cylinder. Yoga mats are flexible foam products that cushion a harder surface. Finally, foam padding is used extensively as a packing material. Harder foams are used for large items while softer foam padding is used for fragile and light items. The Foam Factory specializes in foam products suitable for upholstery foam Canada.